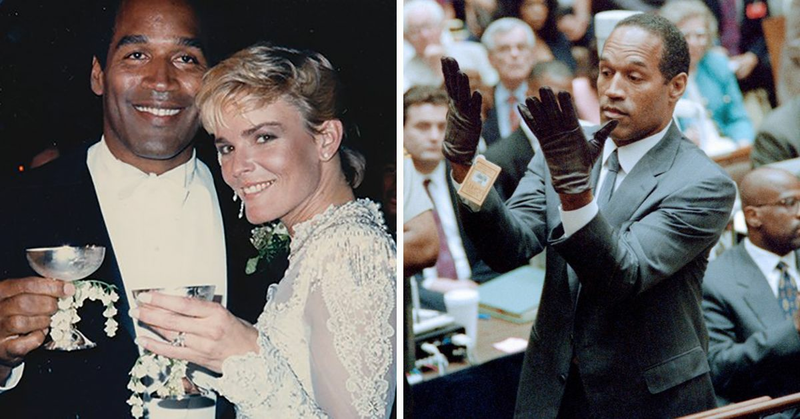 In one of the biggest scandals of the '90s, O.J. 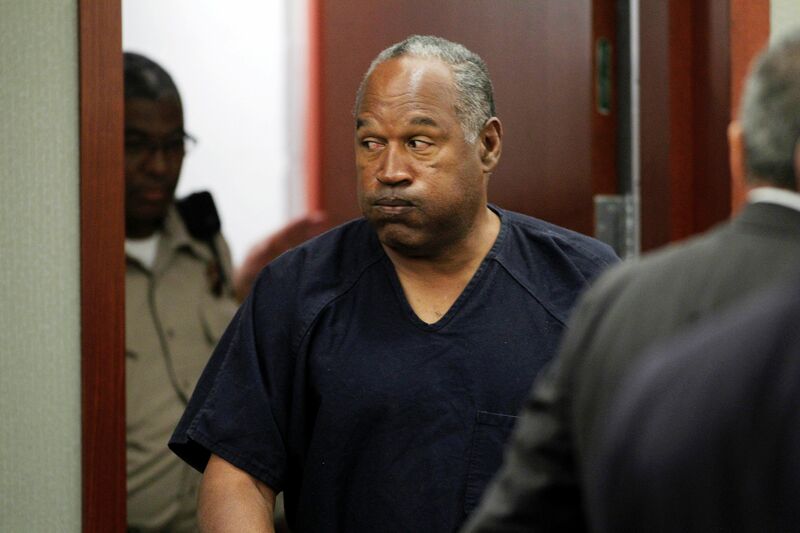 Simpson went from hero, to zero, somehow back up to hero, all while being on trial for a double murder. Now, the scandal wasn’t really the murder (even though that’s a big deal), but moreso the fact that Simpson walked away a free man, despite damning evidence against him. Simpson started out as a football player, setting NCAA and NFL records with ease, and doing his best to inspire black youth across the country. "I'm going to take the challenge of helping black kids in every way I can," he said. "I believe I can do as much for my own people in my own way as a Tommie Smith, a Jim Brown, or a Jackie Robinson may choose to do in another way. That's part of the image I want, too." The image he ended up with, however, was historical for a different reason. In 1985, Simpson married Nicole Simpson, a small-town waitress. The couple seemed like the ideal match: a football superstar with the young, blonde bombshell. Together, they had two kids, Justin and Sydney. However, their marriage was far from perfect. 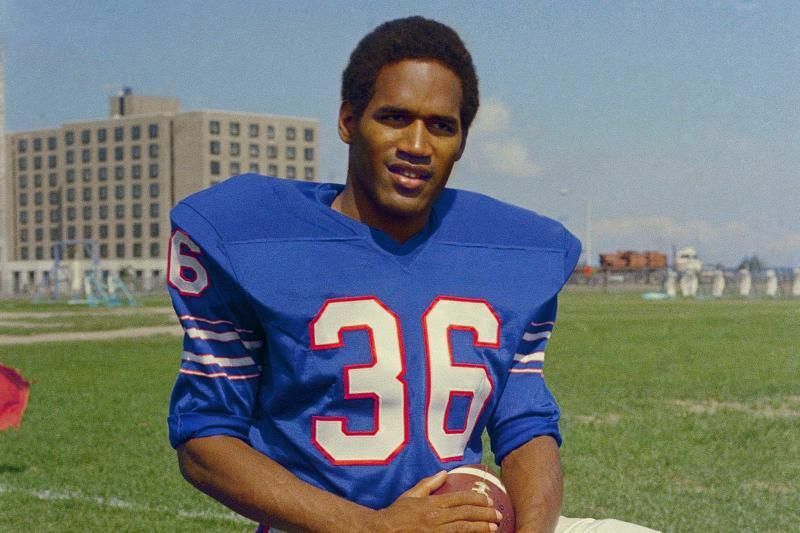 In 1989, O.J. Simpson plead no contest to spousal battery after he and his wife got in an argument at a New Year's Eve party. Nicole claimed O.J. threatened to kill her. "We had a fight," O.J. Simpson said. "We were both guilty. No one was hurt. It was no big deal, and we got on with our life." 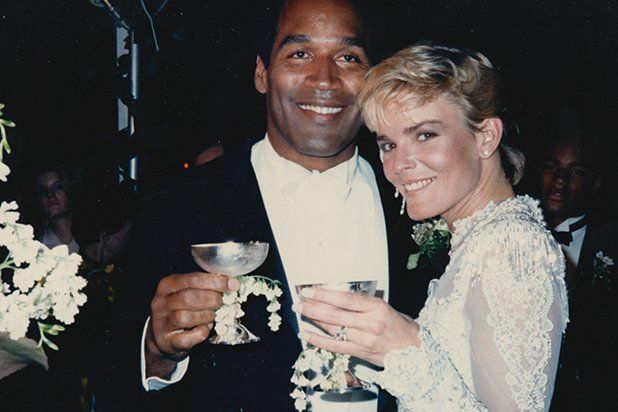 Three years later, Nicole Brown Simpson filed for divorce. Two years after that, she was found dead. 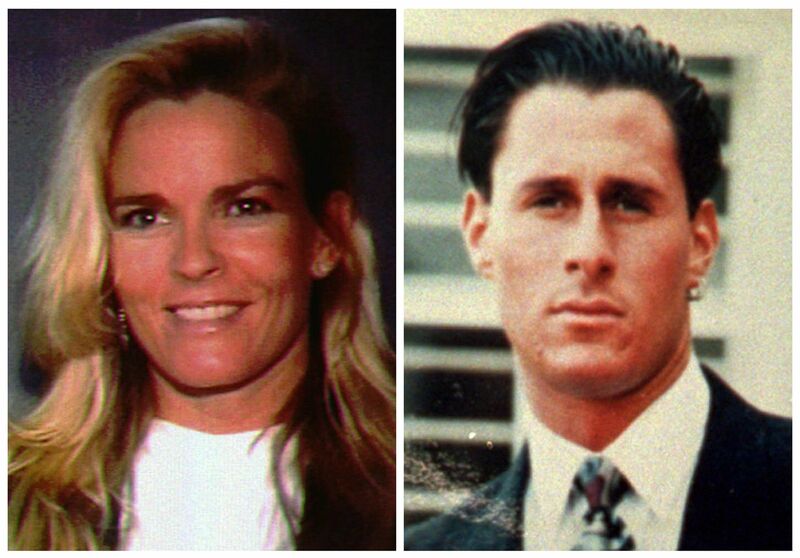 On June 12, 1994, Nicole Brown Simpson and her friend, Ronald Goldman, were found stabbed to death outside her home. 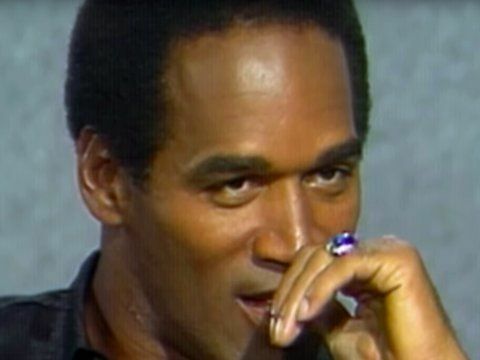 All evidence pointed to O.J. 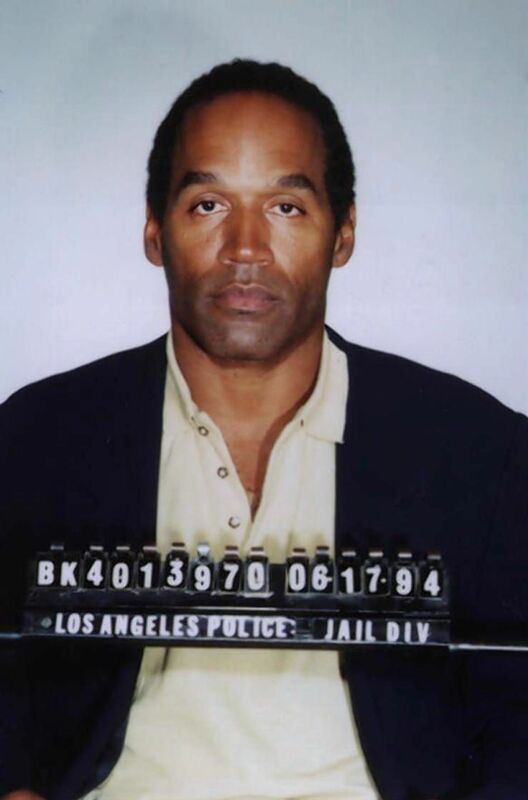 Simpson as the killer, and a warrant for his arrest was issued. Simpson tried to flee, which led to one of the most iconic car chases of all time. 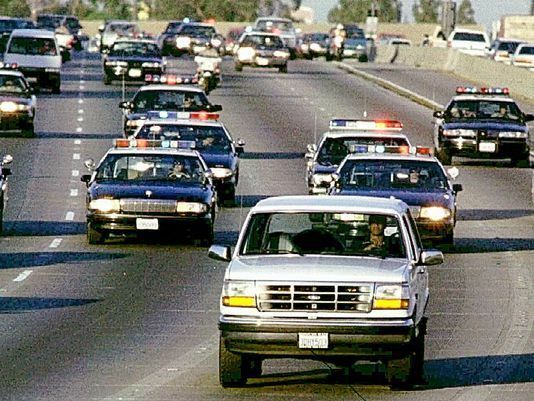 Simpson was in the back of a white Ford Bronco while ex-NFL player, Al Cowlings, drove. The pursuit was broadcast on live television, and is credited with being the "birth of reality television." Simpson was found in possession of a gun, his passport, a disguise, and $9,000. 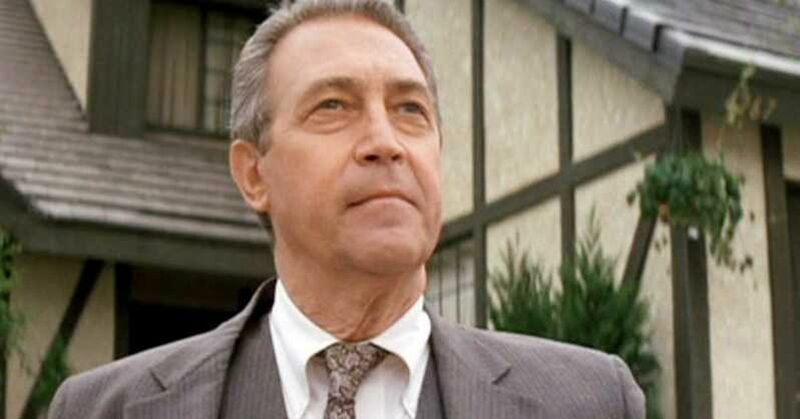 However, he remained adamant that he was "absolutely, positively, 100 percent not guilty". That lie was just the beginning of what would be "The Trial Of The Century". Simpson plead not guilty to both murders, and he was held without bail. A jury was compiled, which was difficult considering the amount of media coverage surrounding the case. 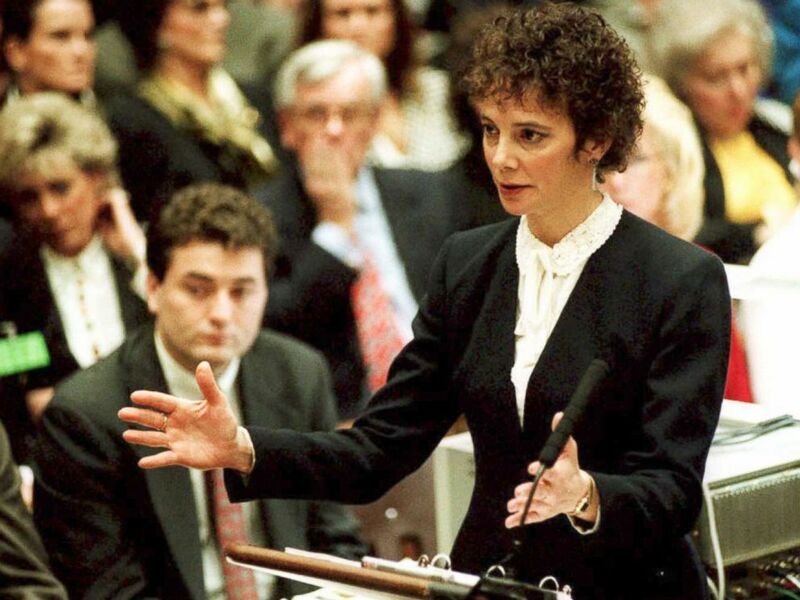 The prosecution, lead by Marcia Clark, chose not to seek the death penalty for the murders, but rather a life sentence. The trial of O.J. Simpson was unlike anything the world had ever seen. Cameras were allowed in the courtroom, and the public had full access through television broadcasting. People were glued to their TVs at all times. 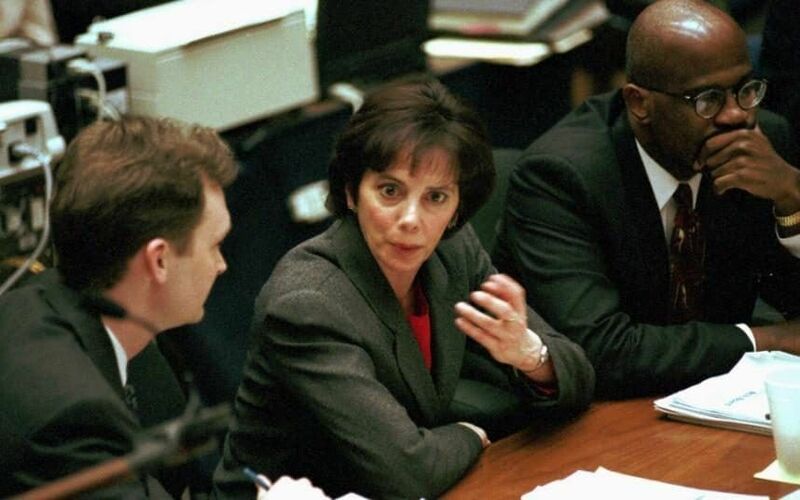 The prosecution consisted of Deputy District Attorney Marcia Clark and Deputy District Attorney Christopher A. Darden. 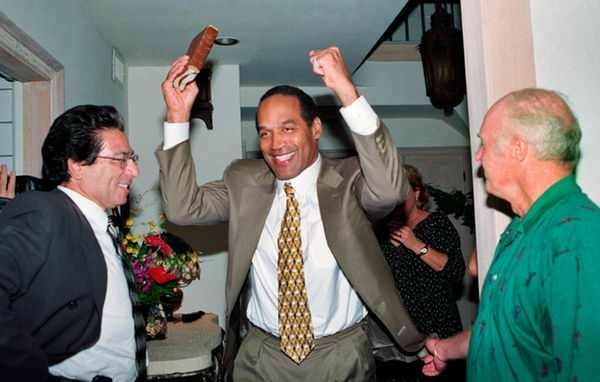 Simpson hired a full team of high-profile lawyers, including F. Lee Bailey, Robert Kardashian, Robert Shapiro, Alan Dershowitz, Johnnie Cochran, Gerald Uelmen (then the dean of law at Santa Clara University), Carl E. Douglas and Shawn Holley. 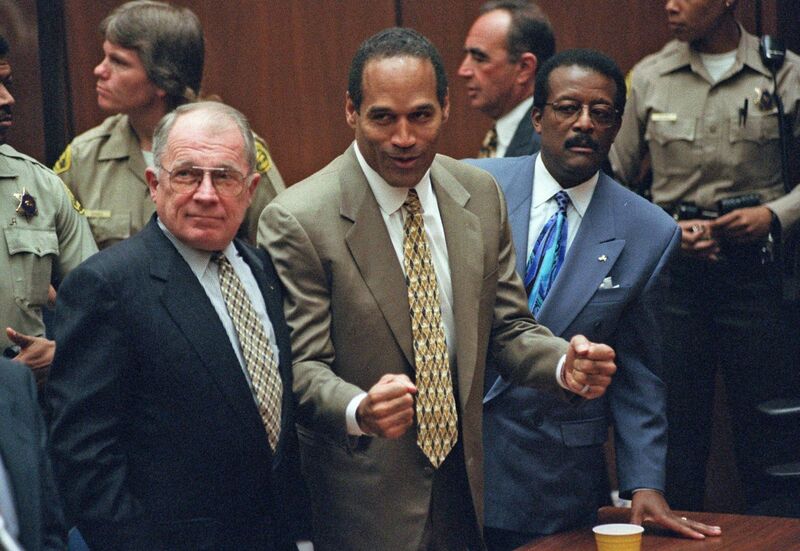 Simpson's trial began on January 24, 1995, and was must-see reality television. 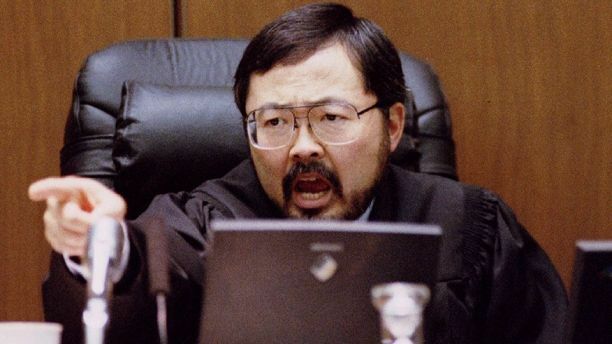 Judge Ito was criticized for not doing enough the regulate the media allowed in the courtroom, and essentially turning it into a wild circus. 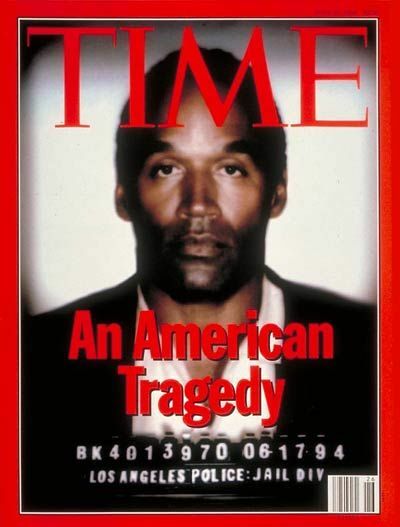 During the trial, TIME magazine published a cover story titled "An American Tragedy", with a photo of O.J. Simpson on the cover. The publication faced extreme backlash when it was pointed out that editors had manipulated the photo of Simpson, making his skin appear darker as a way to make him seem more menacing. They were accused of racist editorializing, and later publicly apologized. 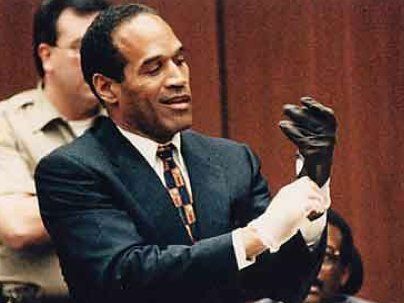 We watched as Nicole Brown's blood was found on Simpson's socks. We watched as Brown's and Goldman's blood were found on Simpson's Bronco. We watched as bloody footprints were found at the crime scene, coming from an extremely rare pair of shoes (only 29 were sold in the United States), matching O.J. 's footprints. 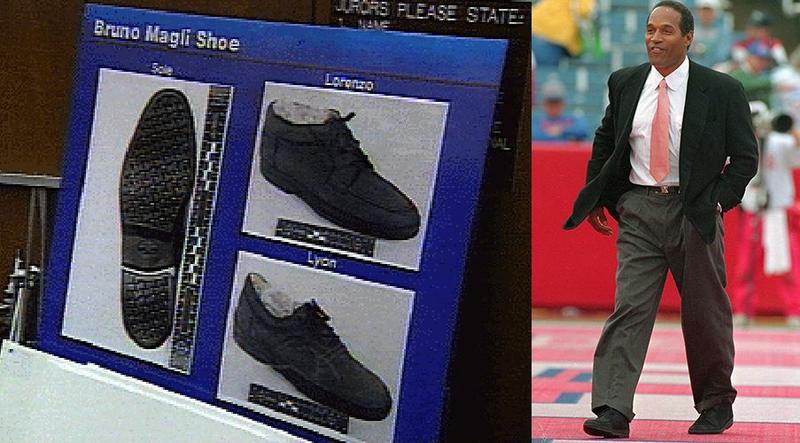 His legal team argued there was no way to prove he had ever owned or worn a pair of the shoes, but a photograph from a public event just a year before showed Simpson wearing them. And of course, we watched as O.J. 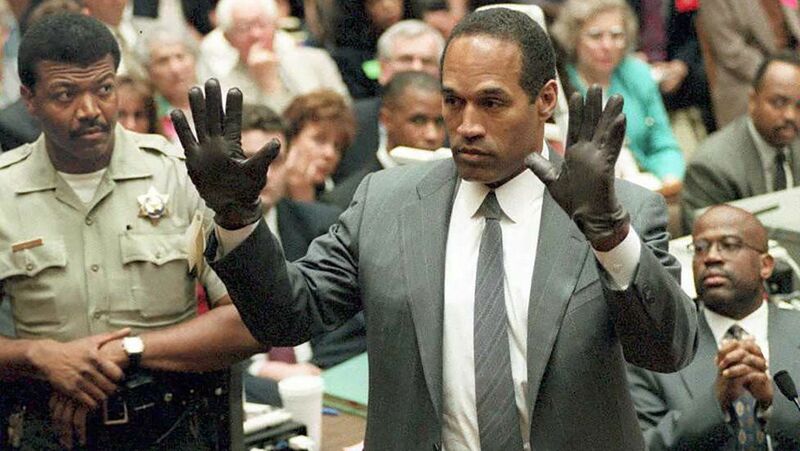 Simpson tried on a blood-soaked glove that was too small for his hand. His lawyer, Johnnie Cochran, coined the now infamous phrase "If it doesn't fit, you must acquit." 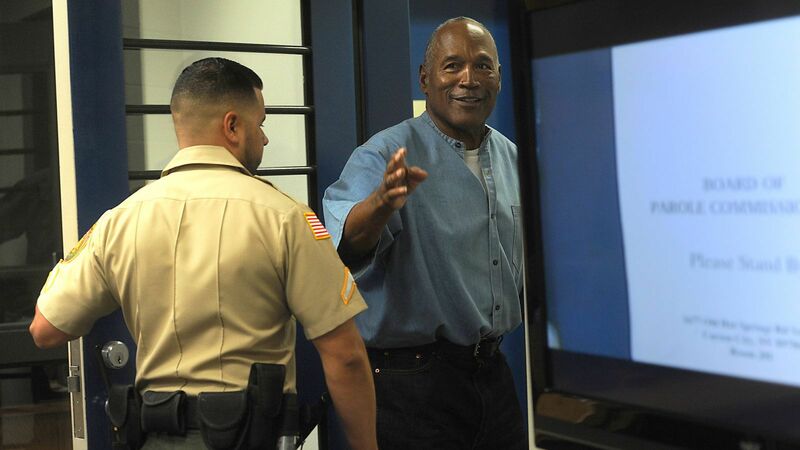 Though the evidence mostly pointed to O.J. 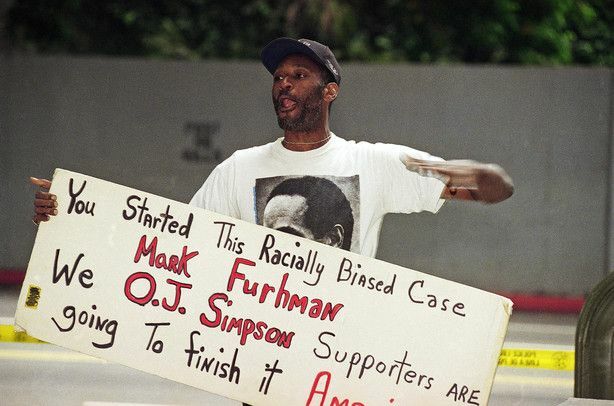 Simpson as guilty, the trial ran into major credibility issues when it was uncovered that Mark Fuhrman, the Los Angeles Police Detective leading the case, had racial bias. Most of the incriminating evidence (the gloves, the socks, and the blood on the Bronco) was found by Fuhrman, and it lead to doubt among the jury. 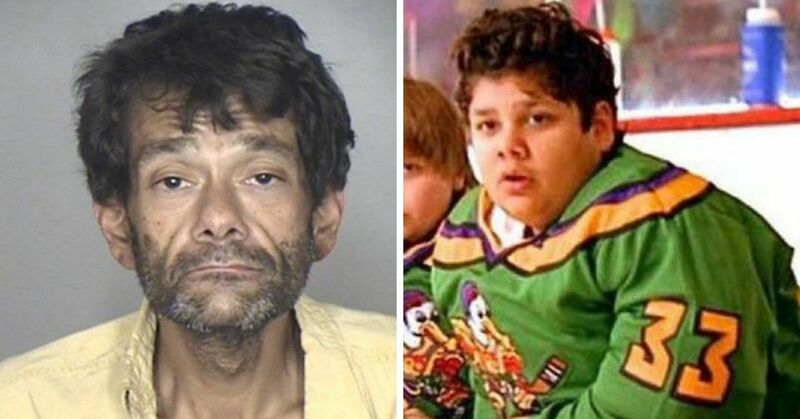 Fuhrman was charged with perjury after the trial, claiming that he had not used the n-word in over 10 years. This turned out to be a lie. Not only that, but Fuhrman pleaded the Fifth amendment to protect himself against self-incrimination, after being asked "did you plant or manufacture any evidence in this case?" 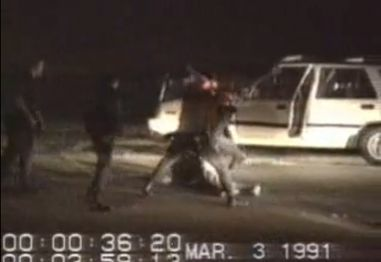 These allegations against Fuhrman were only heightened, as just four years prior, footage of LAPD officers beating Rodney King was released. 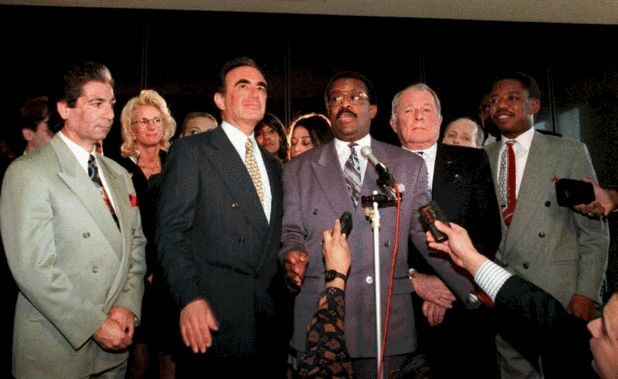 Racial tensions were through the roof in Los Angeles, and Fuhrman's history was only making things worse. 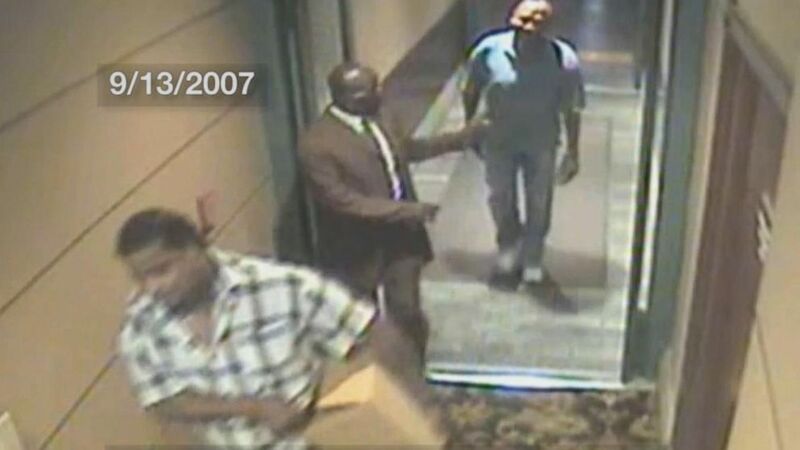 Before the jury selection and sequestration took place, an article was published in The New Yorker, reporting that the defense was going to use the "race card" to win their case. It also detailed that Mark Fuhrman had undergone psychiatric interviews in 1981 and 1982, in which he used racist language and boasted about beating young African-Americans. 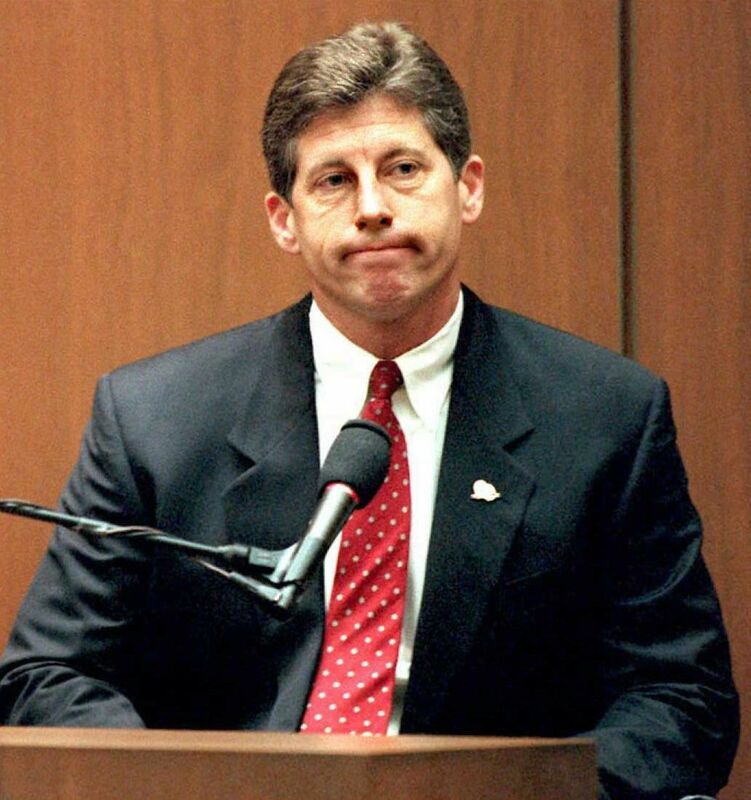 As the final jurors were selected, they were asked how much exposure to the case they received from The New Yorker, and were asked their opinions of Mark Fuhrman. 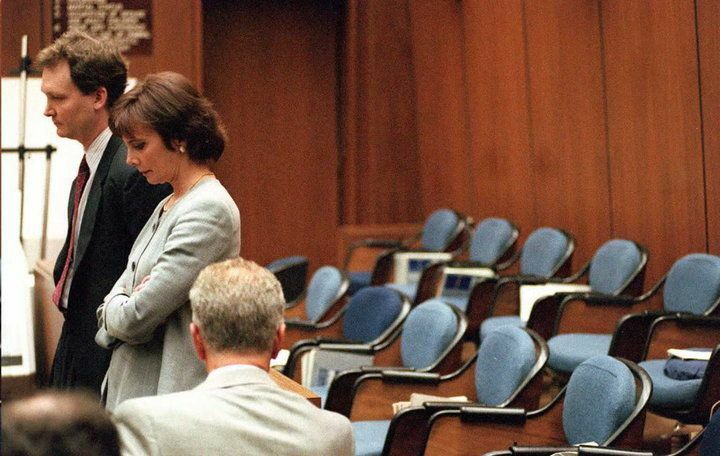 Prosecutor Marcia Clark claimed that people were lying to get onto the O.J. Simpson jury. It was no secret that Clark and her team wanted white jurors on their team, but Clark also wanted a disproportionate number of women, believing they responded to her courtroom style. She was wrong, however, as simulated jury tests showed that women responded poorly to a hard-edged and hostile prosecutor, like Clark. Each potential juror had to fill out a 75-page questionnaire to ensure they were right for the case. 12 jurors were selected for the trial, with 12 selected as alternates. Over the course of the trial, 10 jurors were dismissed for a range of reasons. By the time the trial was over, only four of the original jurors remained. 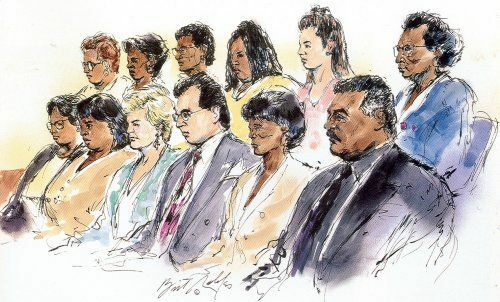 In the end, the jury consisted of eight African-Americans, two Hispanics, one half-Caucasian/half Native-American, and one Caucasian. There were 10 women and two men. 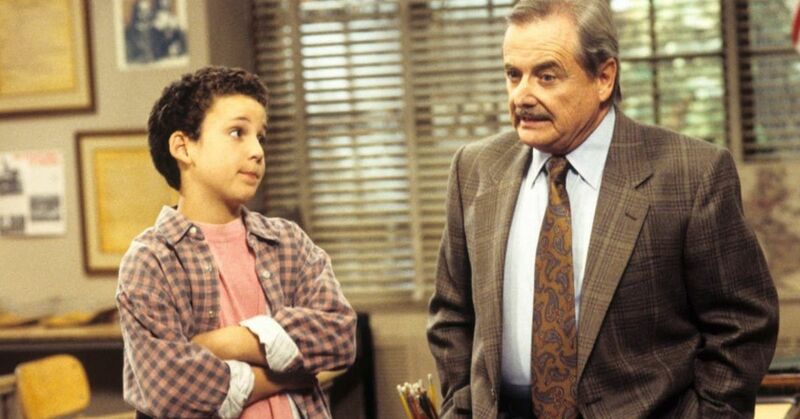 YOU get an alibi! And YOU get an alibi! O.J. Simpson claimed he was sleeping at the time of the murder. Then he claimed he was hitting golf balls outside his home. 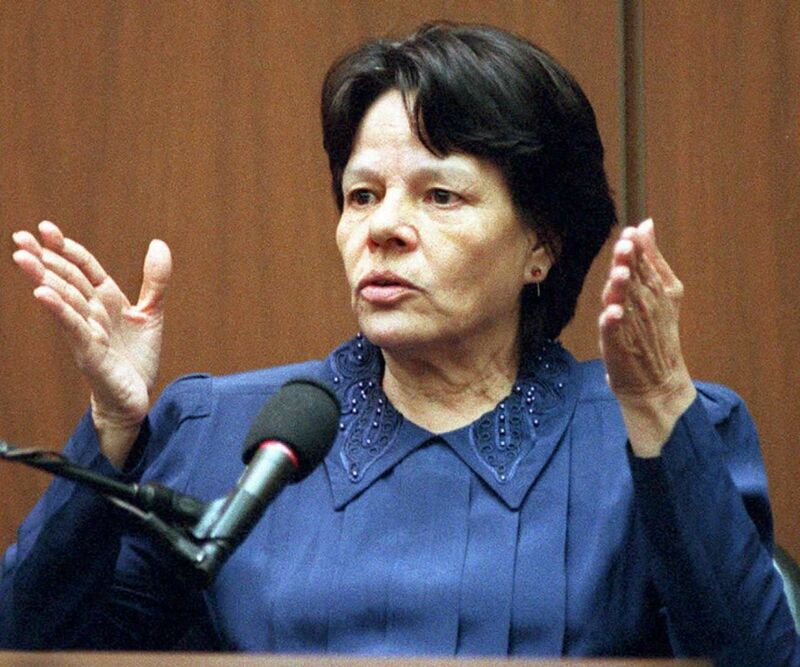 Then he claimed Rosa Lopez, the neighbor's housekeeper, saw him parked in his car outside his house at the time of the murder. The last alibi was corroborated by Lopez, but was ultimately pulled apart by the prosecution when it was determined that Lopez could not be sure of the precise time she saw the Bronco outside. 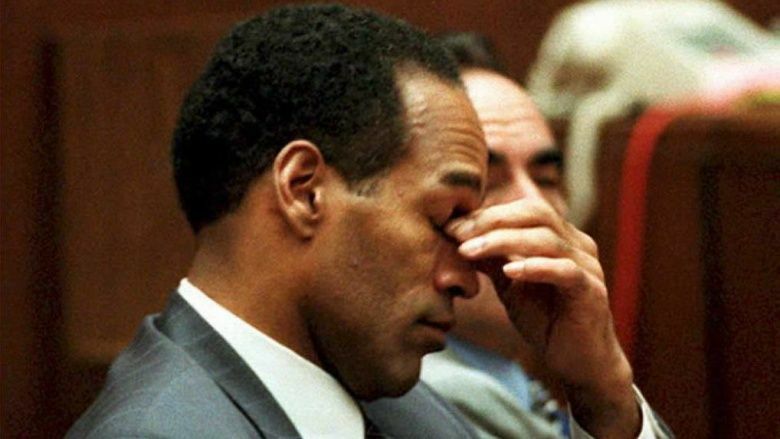 On October 3, 1995, O.J. Simpson was found not guilty of all charges. Tensions were so high, President Bill Clinton had been briefed on how to handle potential riots should the verdict be controversial. It's estimated that almost $480 million in lost productivity occurred as the verdict was announced, with water usage declining significantly since people were afraid to go to the bathroom and miss it. 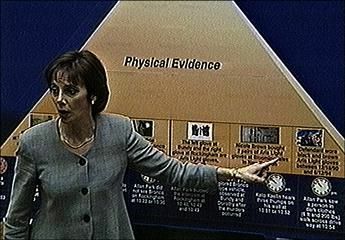 Some of the jurors claim they believed Simpson did commit the murders, but that the prosecution failed to prove it beyond a reasonable doubt. O.J. 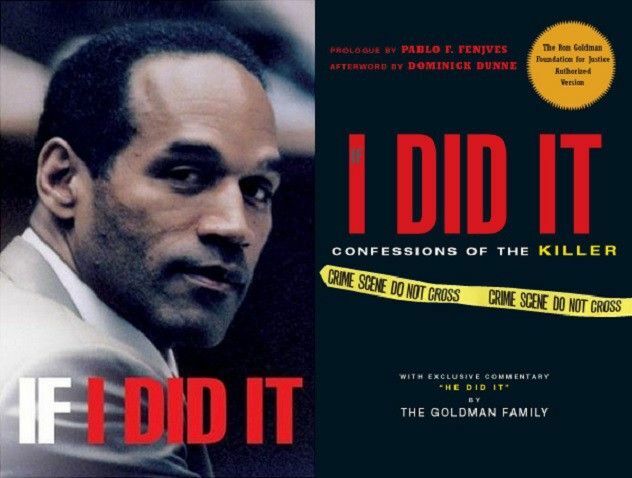 Simpson wrote a pretty telling book, called "If I Did It", in 2006. The entire book was a hypothetical detail-for-detail account of just how he would have murdered Brown and Goldman. This is an excerpt from the book, referencing the famous moment when he was asked to try on the alleged gloves used in the murder and they didn't fit. "This is a historic case, and I consider this his confession", publisher Judith Regan told The Associated Press. 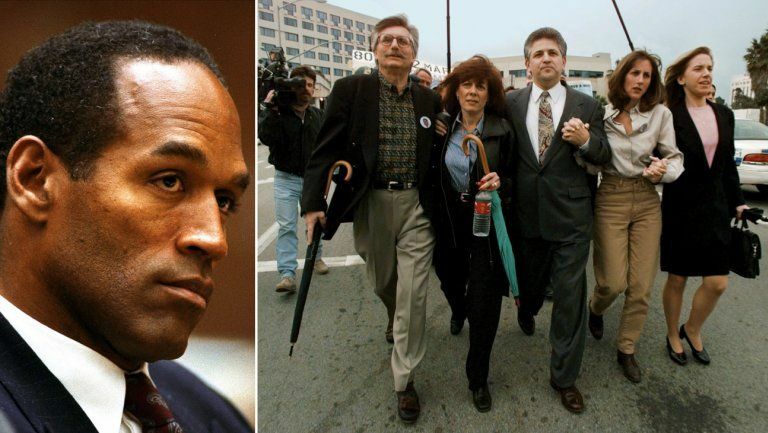 Though Simpson was found not guilty on criminal charges, Ron Goldman's parents filed a civil suit against Simpson for wrongful death. Brown's estate also filed a "survivor suit" against Simpson. Brown's estate was awarded $12.6 million for Simpson's kids, Justin and Sydney. 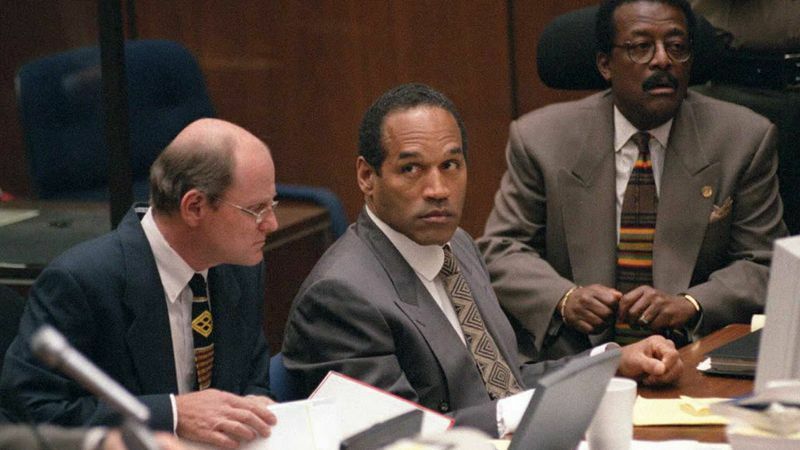 Both families were awarded $33.5 million in compensatory and punitive damages, thereby finding Simpson "responsible" for the murders. Simpson may not have gone to prison for murder, but he was sentenced to 33 years in prison for armed robbery and kidnapping. Simpson robbed two sports memorabilia dealers at gunpoint along with a friend, but Simpson claims he was just trying to reclaim possessions that were stolen from him. "It was my stuff. I followed what I thought was the law," the former running back said. 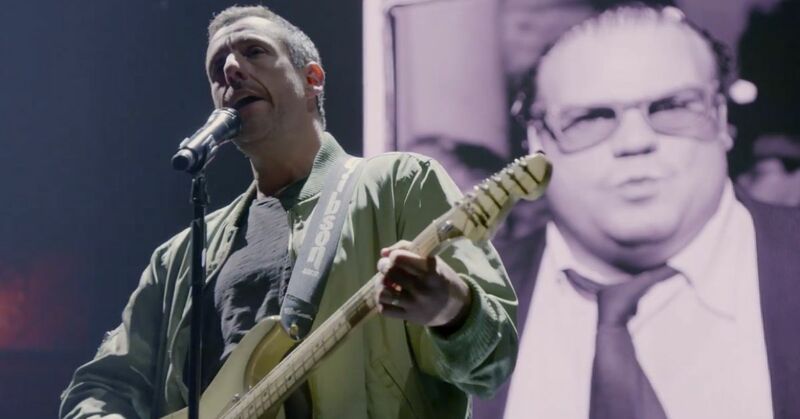 "My lawyer told me I couldn't break into a guy's room. I didn't break into anybody's room. I didn't try to muscle guys. The guys had my stuff, even though they claimed they didn't steal it." O.J. Simpson was finally granted parole in July of 2017, after nine years in prison. Share if you remember "The Trial of the Century"